On 17-19 september 2018, Tropentag 2018 took place in Ghent, Belgium. 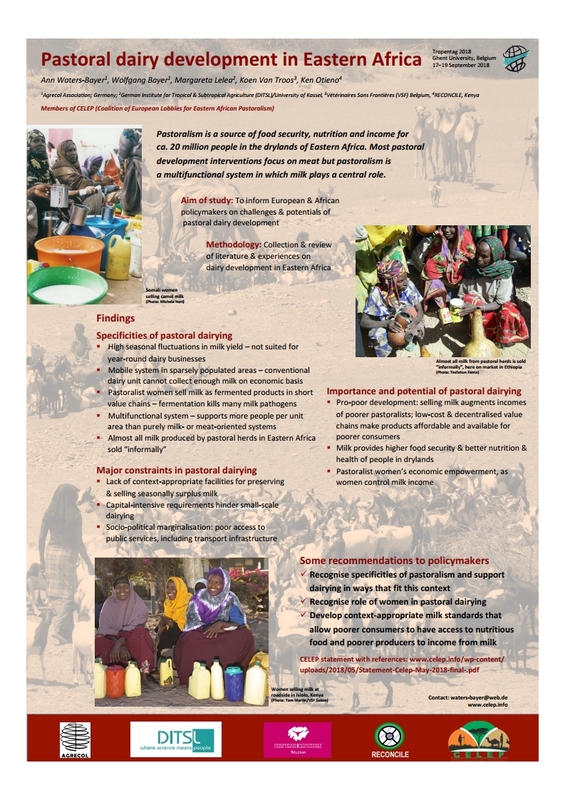 Please click the link to a 4-page paper and a very interesting poster based on the CELEP (Coalition of European Lobbies for Eastern African Pastoralism) presentation. This entry was posted in News and tagged dairy development, Eastern Africa, Pastoral, poster.